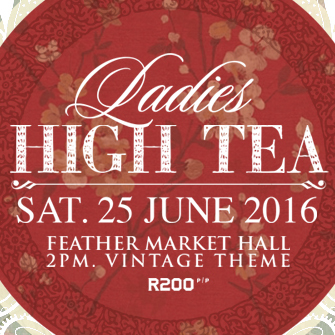 Victory Ministries International will hold its annual Ladies High Tea on 25th June 2016 at the Feather Market Hall in Port Elizabeth. This year’s theme is “Vintage”. High Tea events during the last five years has brought about an array of amazing table centre-pieces and showcased jaw-dropping creativity from participants. Guests has described the annual high tea events as exciting and inspiring. The Lord spoke to Pastor Eunice Liberty’s heart to bring women together in a special way. Since the first high tea, her goal each year is to take ordinary women to a place where they begin to experience the extra-ordinary as being ordinary. After witnessing the high level of excellence each year, it is clear that the extra-ordinary has become the norm.